Aloe is a succulent plant that has been used for medicinal purposes since the time of the ancient Egyptians. The most common type of aloe is Aloe barbadensis, which is better known as aloe vera. This versatile plant was first found in southern Africa and now grows throughout Africa, the Mediterranean, and parts of South America. The parts of the aloe plant that are used medicinally are the gel that is found inside the leaves and the sap (a bitter, yellow, sticky substance [aloe latex]) that is found just inside the leaf surface. Aloe is a known anti-inflammatory and may even have antibacterial and antifungal properties. 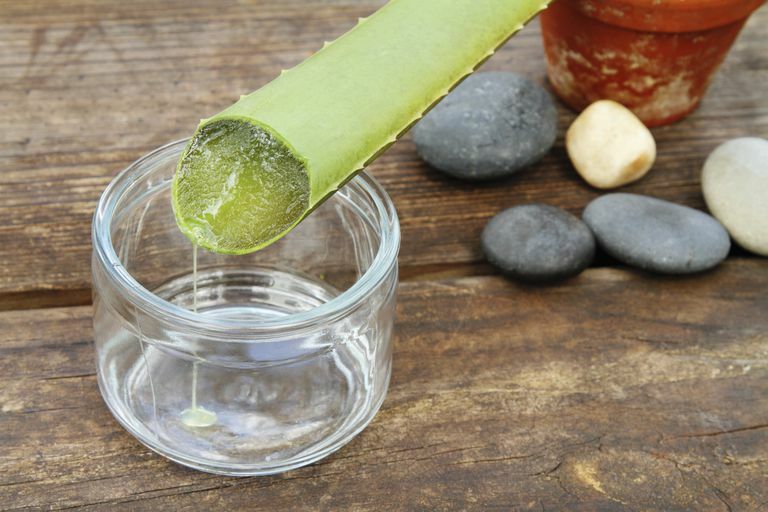 The gel from the aloe plant is often used topically on dry, broken, or burned skin as a soothing agent and a pain reliever. In animals, aloe gel has been shown to reduce inflammation. In one study on the use of aloe in ulcerative colitis, ingested aloe gel was shown to be better than placebo in reducing disease activity. However, that study was small (with only 44 patients), and there have not been any others that showed the same results. Because of these limitations, experts conclude that there is not enough evidence to recommend the widespread use of aloe for treating either ulcerative colitis or the other major form of inflammatory bowel disease (IBD), Crohn's disease. Aloe latex is a powerful laxative, and should not be used by people who have hemorrhoids, ulcerative colitis, Crohn's disease, irritable bowel syndrome, diverticulosis, intestinal blockages, or other gastrointestinal conditions. It is not often used as a laxative because it may cause painful abdominal cramps. Herbal remedies, in general, are difficult to study for several reasons. One reason is that it's challenging to make sure every person in the trial is getting the same thing because there can be variations in the quality of the product used. There's also a risk that in some cases, other compounds could be present in the preparation of the substance being studied, and that would make the results of the study suspect. In these instances, it would be difficult to know how much aloe patients were receiving, and if any imperfections in the quality of the product were responsible for a response (or even a non-response), There's also the question of what the dosage should be to achieve an effect. Another problem is that when patients are being given an herbal preparation, they might not be receiving any other type of treatments, and that could have ethical consequences: what if patients don't get any better with the herbal medicine? Conversely, patients may be receiving another, conventional therapy (such as a 5-ASA drug or a biologic) and it would be difficult to know if a response was from the supplement or the drug. As a result, there are few studies on herbal remedies for diseases like IBD, and even fewer that specifically address the effect that aloe has on ulcerative colitis. Aloe latex will decrease the effectiveness of any medication taken at the same time, as it is a laxative, and will cause any medication taken by mouth to move through the digestive system too quickly to be effective. Check with a physician before taking aloe when taking other medications. Aloe latex is not considered safe to use during pregnancy, nor should it be used by breastfeeding mothers, because there is no evidence of potential risks. Check with your physician about any possible effects aloe might have on an unborn child or an infant. Aloe latex, the juice found just inside the leaf of the plant, is a known laxative, which is also habit-forming. Aloe latex works as a laxative because it prevents the absorption of water in the bowel, making the contents of the bowel move faster. Continued use of aloe latex could result in the need for higher doses to achieve the same effects and permanent damage to the muscle in the intestine. Large doses have been known to cause bloody diarrhea and kidney damage. Aloe gel is generally considered safe, even if it has not been shown to have any effectiveness in treating ulcerative colitis. Aloe latex is a powerful laxative and can be poisonous in high dosages. Any alternative remedies for IBD or any other condition should always be discussed with a physician or healthcare professional. Langmead L, Feakins RM, Goldthorpe S, et al. "Randomized, double-blind, placebo-controlled trial of oral aloe vera gel for active ulcerative colitis." Aliment Pharmacol Ther. 2004;19:739-747. National Center for Complimentary and Alternative Medicine. "Aloe Vera." Herbs at a Glance. Dec 2006. Wan P, Chen H, Guo Y, Bai A-P. "Advances in treatment of ulcerative colitis with herbs: From bench to bedside." World Journal of Gastroenterology : WJG. 2014;20:14099-14104. doi:10.3748/wjg.v20.i39.14099.